Recently ,If you want to purchased a new boat or yacht deck, seven trust is you best choice, our marine boat deck with long life expectancy, It is material that has a very similar look to natural teak, not required regular maintenance product, and our company produced the boat deck use the advanced technology and equipment , product quality have quality assurance. Many boat owners choose the marine boat deck have a variety of reasons. 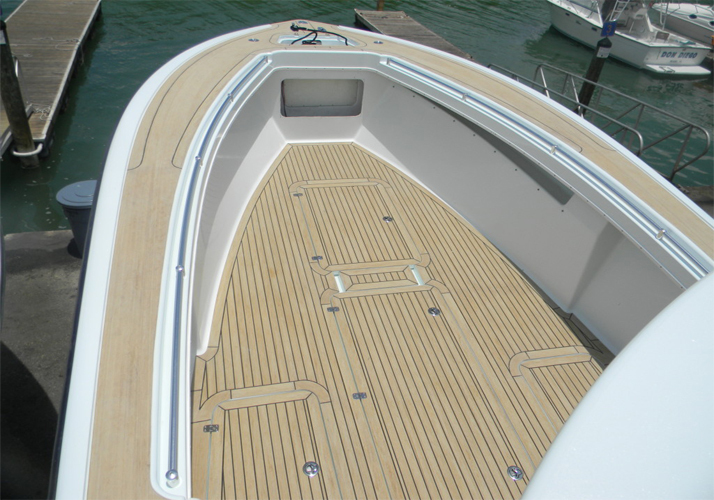 composite marine boat deck it provides the look of real teak and feels very similar to it as well. it very durable and long life , can waterproof ,anti-slip and easy clean . whatever meet with all kinds of bad weather, it still can climate resistance, and it is UV resistant. This is also an environmentally friendly option, One of the best benefits is it is will not rot and insect damage. At the same time, Composite boat deck will last longer because it is composed of carbon fiber and fiberglass to strengthen the material. the product long life and durability. It is pre-manufactured so that it can be put together easily. However, both cork and composite are virtually maintenance free. Composite boat deck provides an anti-fungal surface, which is ideal for marine decking for long-term upkeep. At last if you want to buy long Life Expectancy marine boat deck please contact us as soon as possible, we will supply affordable price and best product , look forward to cooperation with you.